This past week a good friend of mine died. At 43 years of age she lost a long battle with cancer and in her sleep slipped away to be at home with Jesus. Leanne was like no one I had ever met. In her facebook posts she referred to herself as Ranger Gibson. Her whole life was a “mission” and she threw herself into everything she did. For many years that passion was directed toward things she later regretted. 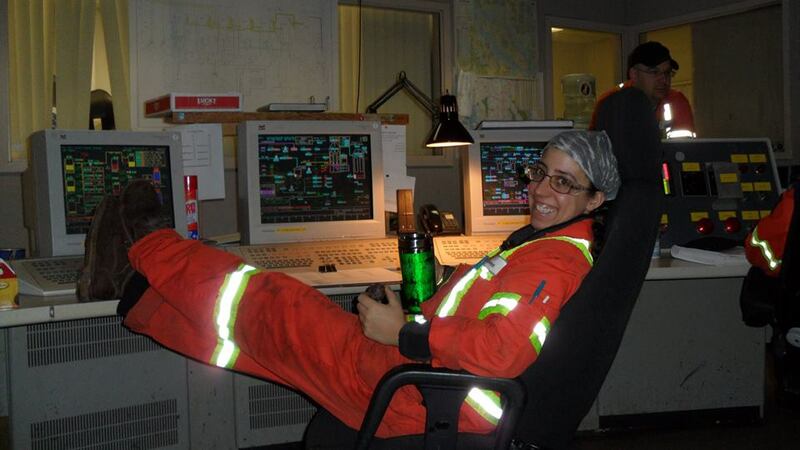 She worked hard (as a power engineer) and she played hard too. But a cancer diagnosis has a sobering effect, and at that point she began to ask deeper questions about why she was here and what she was living for. That led her to faith, a trusting in Jesus for forgiveness, and one of the most engaging and unique expressions of Christianity that I have ever seen. It was not long after this “conversion” that Leanne walked through the doors of Grace Baptist Church and into our lives. The past three and a half years have been a complete gift to me as I have watched her grow and develop spiritually. She started where so many of us start, a tragedy or challenge forces us to reflect on the deeper aspects of our lives. Leanne came out that experience determined to do better. She realized Jesus would forgive, but she wanted to make things right. It was her hope that if she could do that, she would be healed of cancer and have a second chance to live a life for something other than herself. But like most of us, what the early part of faith becomes is just an attempt to do better on our own. We work hard at changing who we are into a person that we think would be the kind of person that God would love. We trust that He has forgiven us, but it’s way more difficult to believe that He loves us despite who we are. The problem with our approach is that we always seem to come up short. We live a cycle of constantly attempting to be better followed by disappointment at our failures. We seem to think (while we may not say it) that the love of God was strong enough to forgive us, but not strong enough to “keep” us. As Leanne’s battle with cancer worsened, she found herself struggling with her own inability to do what she thought God would want her to do. But God was teaching her and shaping her through these difficult times. I still remember a conversation one Sunday afternoon a few months ago when she said to me, “I think I’m beginning to get it. I think it is starting to sink in that God’s not giving love to me because I am doing the right things. And He’s not punishing me with cancer because for much of my life I did the wrong things. Maybe He loves me in spite of the fact I have blown it in the past and even now I still blow it?” I told her that was exactly what I see the Bible teaching. The irony is that this shift in her thinking actually led her to a greater freedom and an ability to stop trying to do the right thing out of obligation. It created in her a response to the love of God that made doing the right thing easier. She was responding to an unconditional love given to her by God instead of trying to earn it. This freedom in her final days enabled her to live the paradox of praying for miraculous healing and trusting that no matter what happened she was safe within the love of God.